Do you want to get lots of attention from your core audience? 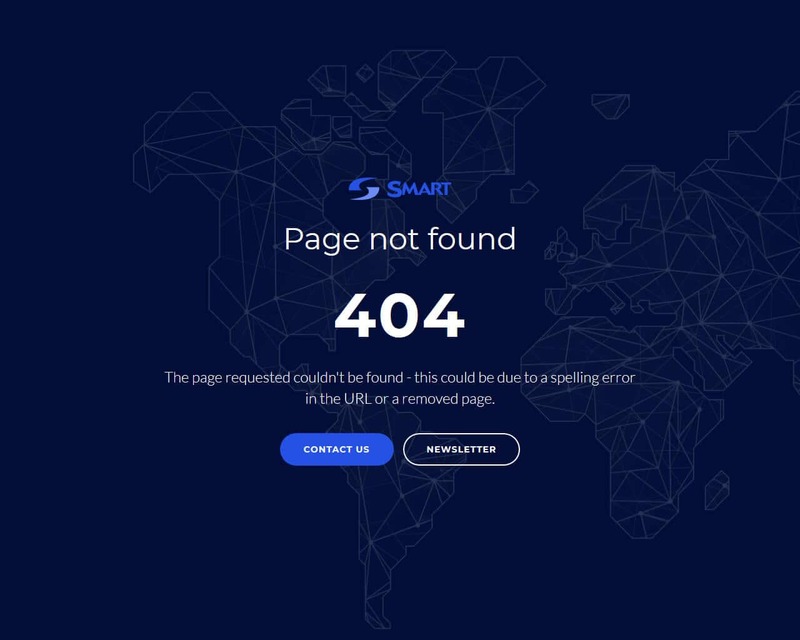 Even when your website is not ready? In this case, you need to launch a wonderful coming soon website. In such a way, people will be ready to know when your online-project will start impressing them. We prepared for you a great collection of coming soon pages that should catch your eye. In addition to this, they will also come into notice of your potential readers. Thanks to these impressive themes, it will be possible to intrigue your core audience. They will be sure that they will get something amazing very soon. You can capture the early interest of people and make them become interested in the website. We want you to spark the engagement. In order to do it, you need to choose one of these stunning solutions. a great gallery to show off your pictures and many other excellent features. 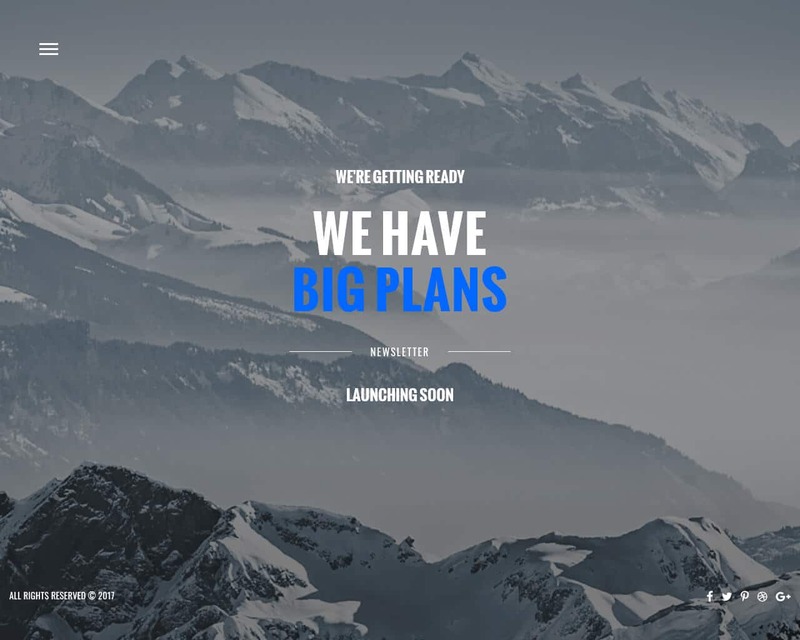 Coming is an under construction template that has a very modern design and is suitable for all creative fields. 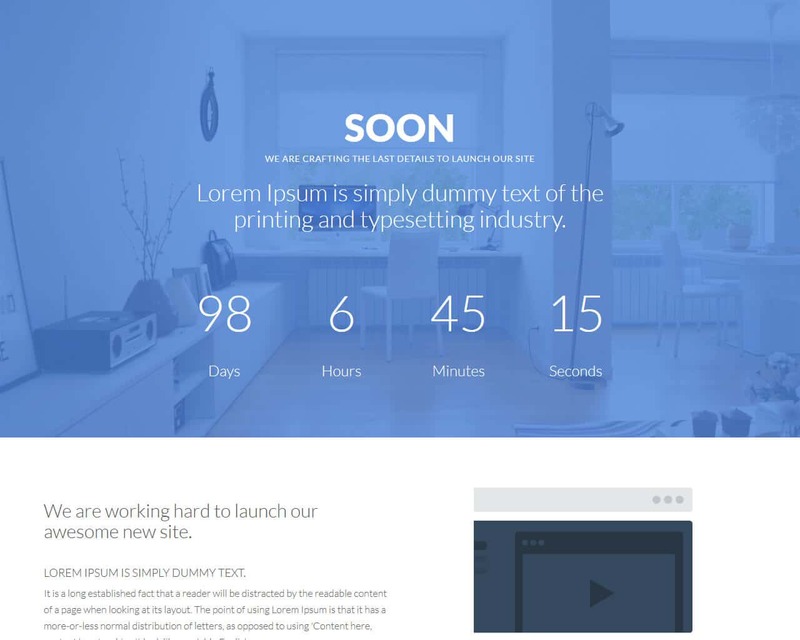 With coming, you can easily create a coming soon website. It has an amazing full-screen background and imagery which enables artists to showcase their work perfectly. It is built on top of the great Bootstrap framework and therefore offers clean and well-structured CSS. Customization can easily be done as the code is well commented and organized. It comes with amazing features like 4 style variations, 5 content pages, full-screen scrolling sections, company logo space, jQuery countdown, Google fonts, multi-browser support, a subscription form, social media links, and it is also well documented. It is also a one-pager; therefore, you can easily work with this template as is it is not complex. Opening is a Bootstrap framework under construction template. It is suitable for anyone who wants to create a coming soon website or anyone who is rebranding their site. It has amazing feature that will complement your soon to be project like, a variety of beautiful page designs, social media links, subscription forms, creative interactions, has a valid, well commented and organized code that you can use for customization effortlessly, hundreds of font awesome icons, Google fonts, 12 different homepage designs that you can choose from and a variety of skin color themes. 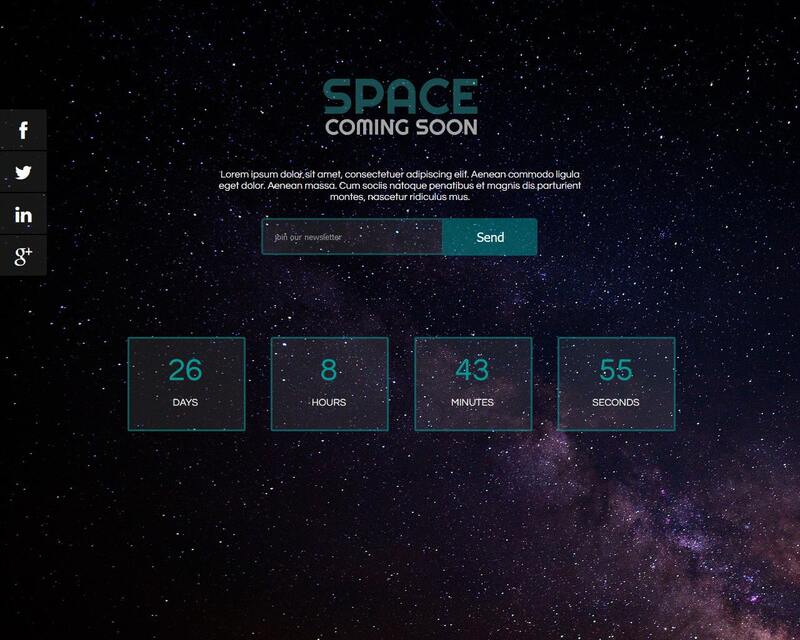 It also has a countdown and calendar to when your site will be active and a timer you will also get a subscription form and a social media link that you can follow to learn more about the upcoming site, You definitely need Opening so that your audience can know that you are developing a site. 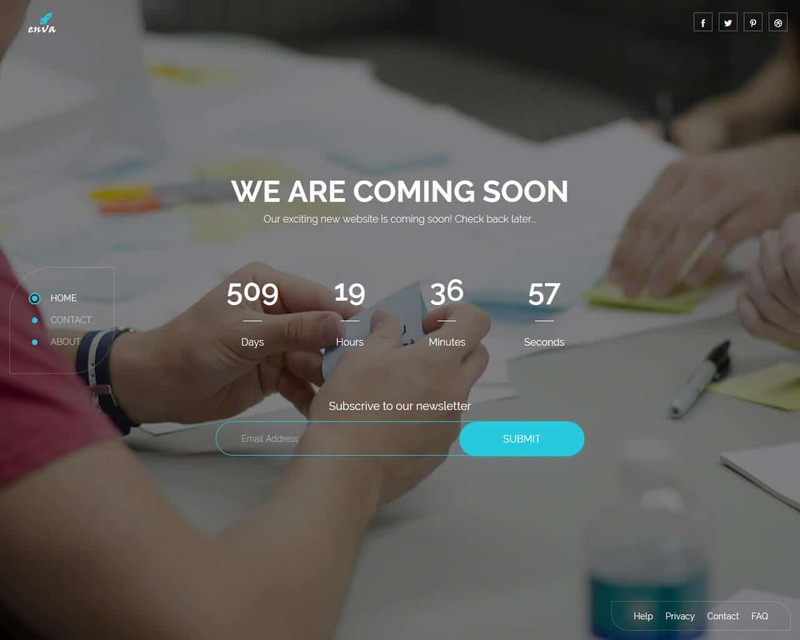 Soon is a Bootstrap framework template that comes with incredible features for your upcoming under construction website. This template will certainly help you to retain your clients when you are maybe revamping your website. Using this under construction template, you can even get leads even before you launch your website. This template has a modern design trend, and it is clean and simple which is a good thing as it will prepare your clients for what is coming. Soon has an intuitive full-width design that will cover the whole screen space. 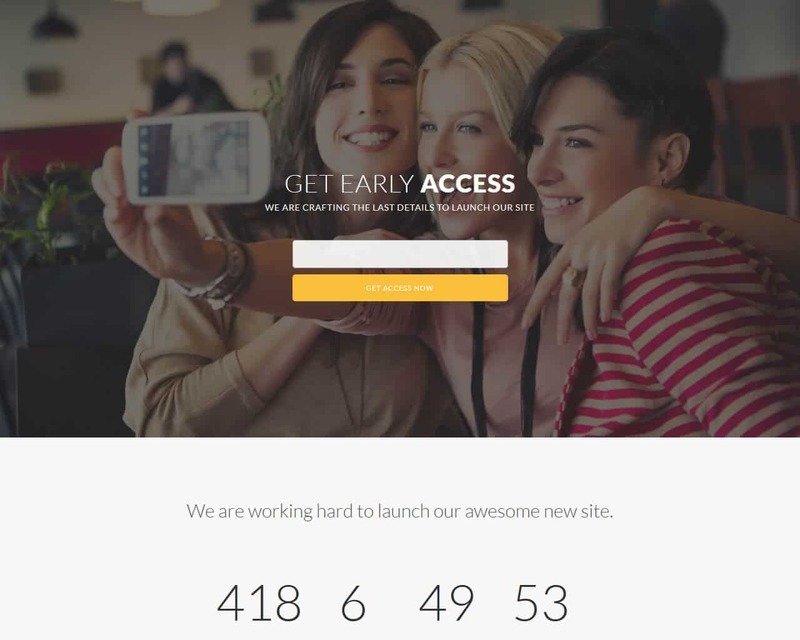 It comes with a social media link where your audience can get information before your project is complete, subscription form where your clients can subscribe to your page and get your updates anytime on their email addresses, a countdown that enables people to learn how much time they should wait for the site to be successfully complete. Your development will be a success if you choose Soon template. A stunning and vibrant template that will catch your eye. If you want people to pay their attention to your future website, take advantage of this great theme. In such a way, your potential visitors will become interested in your online-project. They will wait to take a look at your online-presentation. What features will make sure that you will get your success? some attractive effects (particle, snow, and star) to brighten a website up. 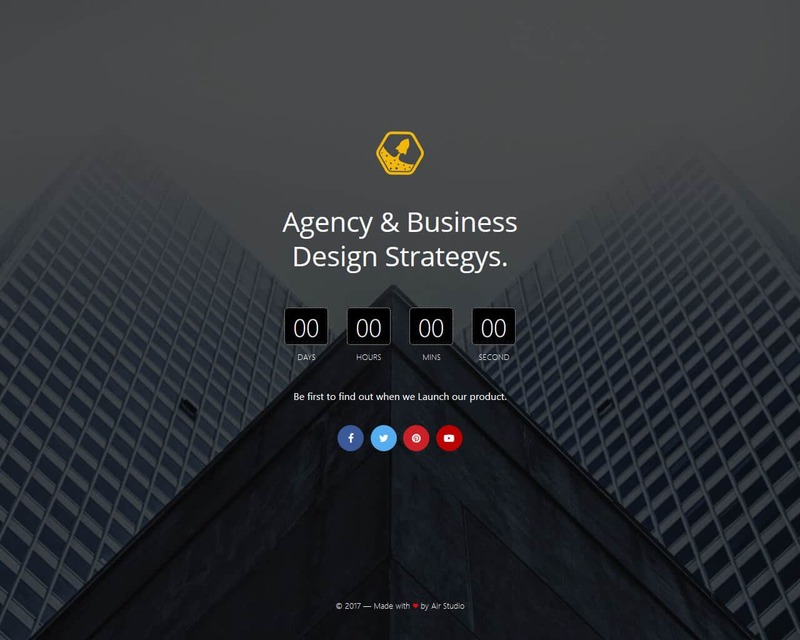 If you want to launch a creative website, this template can be called your amazing choice. Take advantage of it in order to impress your visitors with innovation. 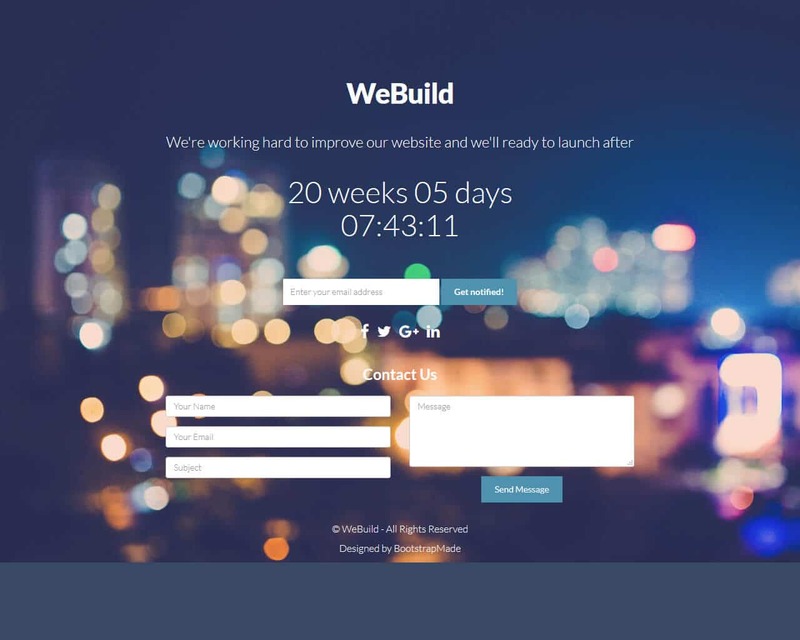 WeBuild is a fully featured under construction template that is very easy to apply as it comes with all the information you need to revamp your website. It is already customized and has a professional and sophisticated look that will allow you to garner more clients even before you have completed your site development. It prepares your clients for what they can expect as it has a social media link, it also comes with a subscription form and a calendar countdown. Some more incredible features that make this template unique are, compatibility with many browsers, different homepages, a code that is easy and straightforward, well documentation, it is highly detailed, it comes with a contact page, Google maps, charts and so on. 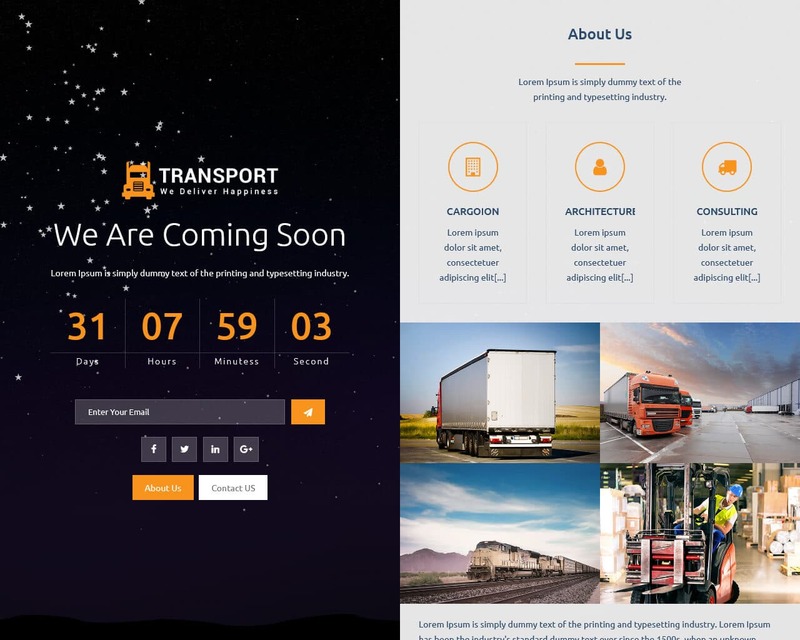 To enhance the appearance of your site, this under construction template has been designed with the most modern tools that you can ever find that will enable you to start up a realistic and sophisticated looking website. Using WeBuild will help your clients to long for what is coming and next or the kind of site that is being developed. This coming template can be applied in a short period. A bright template to draw an audience to your website. This theme has a stylish design. Without a doubt, it can be used for different business niches. It will be completely possible for you to reach out to a global community. So, if you want your website to come into notice immediately, you should make use of this theme. Now we will provide you with a few reasons for such a choice. a great number of HTML files to make it easier to work with a website. You do not need to be a coding expert to build a website. With the help of this template, you will get it in a flash. Moreover, you will also get a recognition and attention from people. Make everyone agape with wonder looking at your coming soon website. 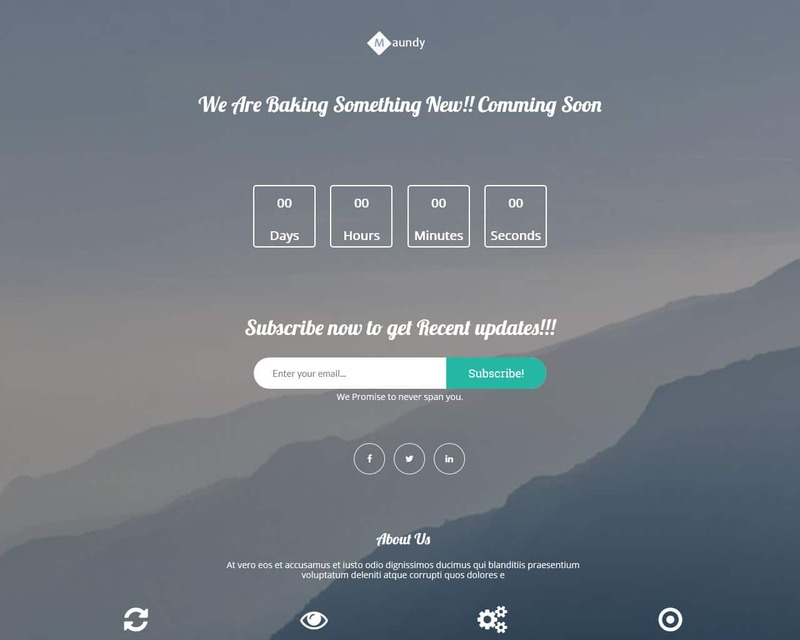 Maundy is an under construction or coming soon template that is built in the popular Bootstrap framework. It is very simple, elegant, clean, coming soon template. It is a multi-browser, and so you do have to feel restricted. This template is fully packed with many features that have a minimal outlook. 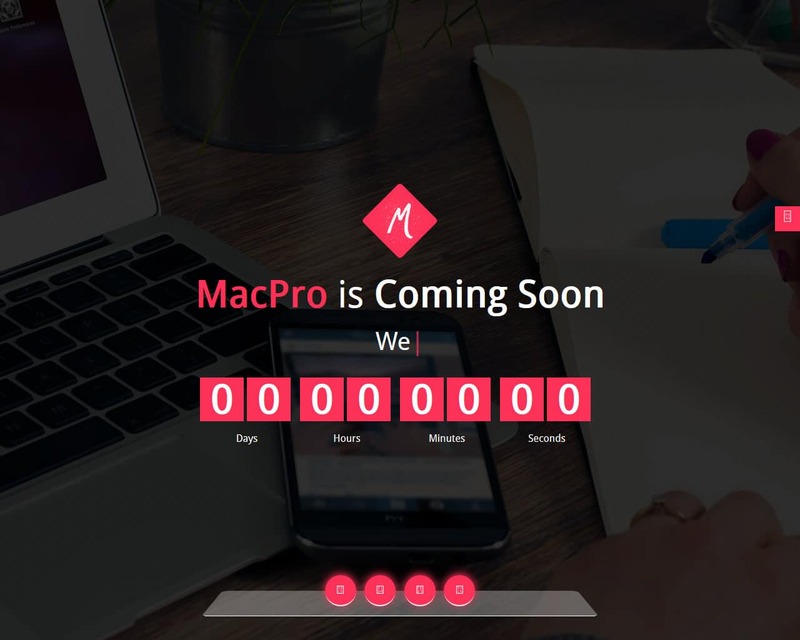 It contains a countdown timer and also an about section where you can find information about what is coming. It is very easy to customize, and it also comes with a subscription form. This template is ideal for creative arts, ecommerce, agencies, corporate, portfolio, business, and so on. For those who want a minimalist coming soon page, Maundy is certainly the way to go as you can also display information on your products before your website is fully functional or complete. It is perfectly documented and is compatible with different browsers. 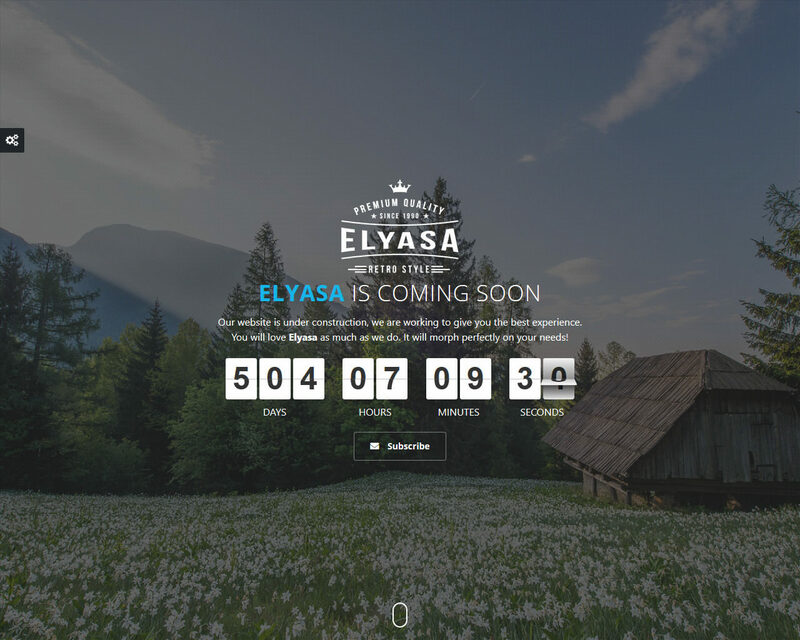 Enva is a creative coming soon template that has beautiful features that will work together with your under construction site to make your project a bliss. 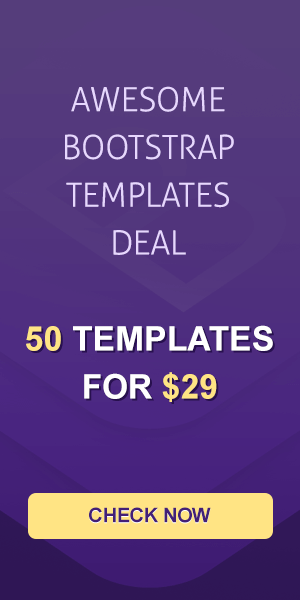 It is built with the popular Bootstrap framework which is a necessity for any good template. You can apply Enva on your, creative arts, ecommerce, agencies, and almost any upcoming website as it does not limit you to specific ones. With Enva, you get a code that you can work with easily when editing and customizing your site. Some of the features that you are guaranteed are reusable UI components, subscription forms, calendar countdown, contact us page and a social media link where your clients can read about what to expect. If you are interested in developing a site or revamping one that you already have, Enva will be of great help as you can apply it effortlessly. Imex is a coming soon Bootstrap template that comes with all the amazing features that you need to while your site is under construction. It has a well-thought design that is very professional, sleek and clean. It also has a dark and light version, so you can choose the one you prefer. With Imex, you will get variety pages, reusable UI components, an already customized template, a contact us page, portfolio, about us, typography based on Google web fonts, a variety of predefined colors, and so many other things that you cannot just find on a typical template. Imex is perfectly laid out and is well documented, and you can use it on all browsers whether modern or not. You can also set it up easily and fast as it is lightweight and loads very fast. 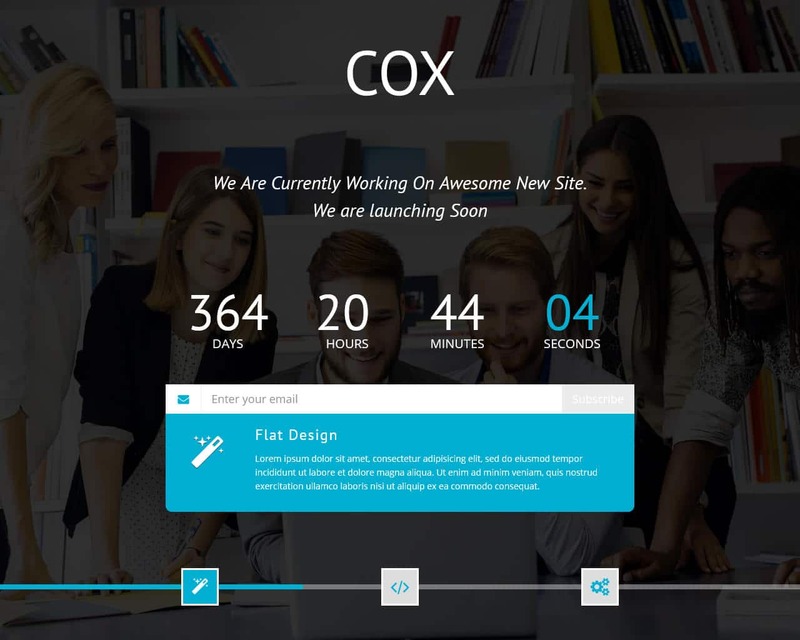 In just 2hours, you can have your under construction website fully represented, and therefore you can retain your clients and finally your online project will be a success. Everest is an innovative template that will certainly make a stir. When you set up a website, this collection of pages will be of the great use. It will provide your visitors with the information when your website is ready. In general, there are lots of features included in the package. We will give you a glance at the most crucial ones here and now. a marvelous gallery to showcase your high-quality images. Actually, it is even more than just a collection of pages. All of them can be called eye-catching and remarkable. Your visitors will dream of taking a look at your future online-project. So, do you want to create a stunning under construction website? In this case, you should definitely make use of this out-of-the-ordinary theme. So, let us also provide you with the most crucial reasons to choose this very solution. a stunning Parallax effect to add an illusion of depth. Pay your attention to this template in order to get the attention of your audience! 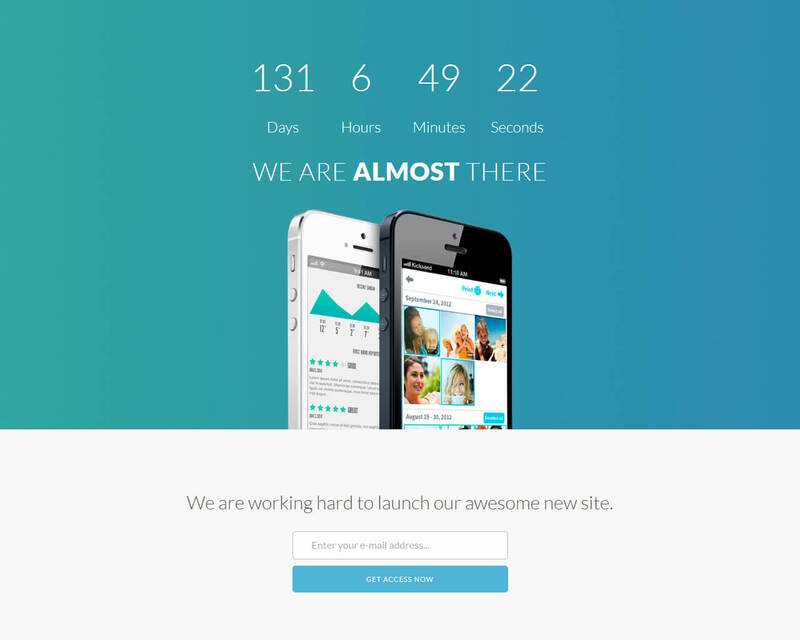 SkyRocket is a very reliable Bootstrap framework template that is under construction. This template is multi-concept and flexible to help you meet your needs when constructing or creating a website. 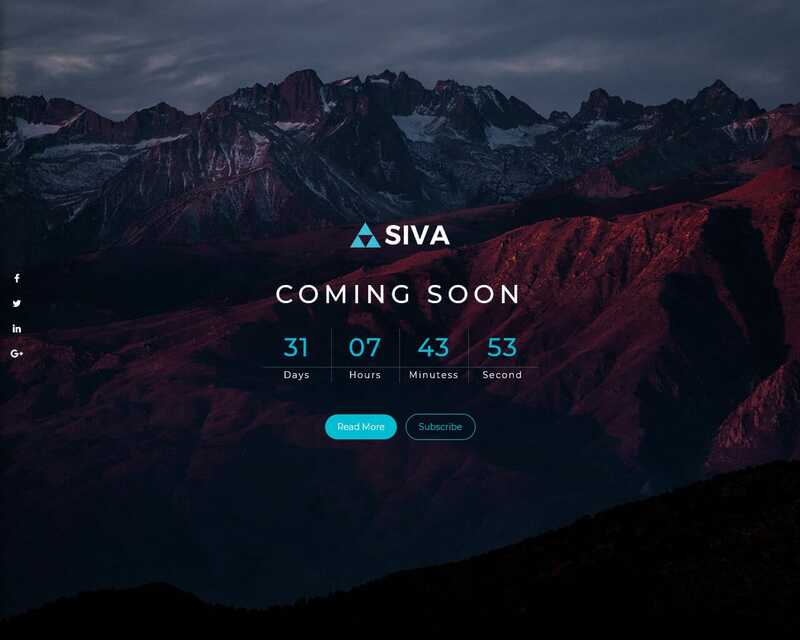 It comes with a very minimal yet attractive design, and it has a countdown timer, slider, subscription forms, social media links, gallery, video, social icons, and other amazing effects. It has a tag that is commented so that you can easily understand its use. SkyRocket is compatible with multiple browsers and therefore, you do not encounter any limitations whatsoever. Apart from those features, you also get 9 overlay patterns, 18 predefined colors, triangles, particles, video background, used Google fonts, and so on. This template can even get you, clients, before your site is ready. You can use SkyRocket as a representation of your site that is yet to come. 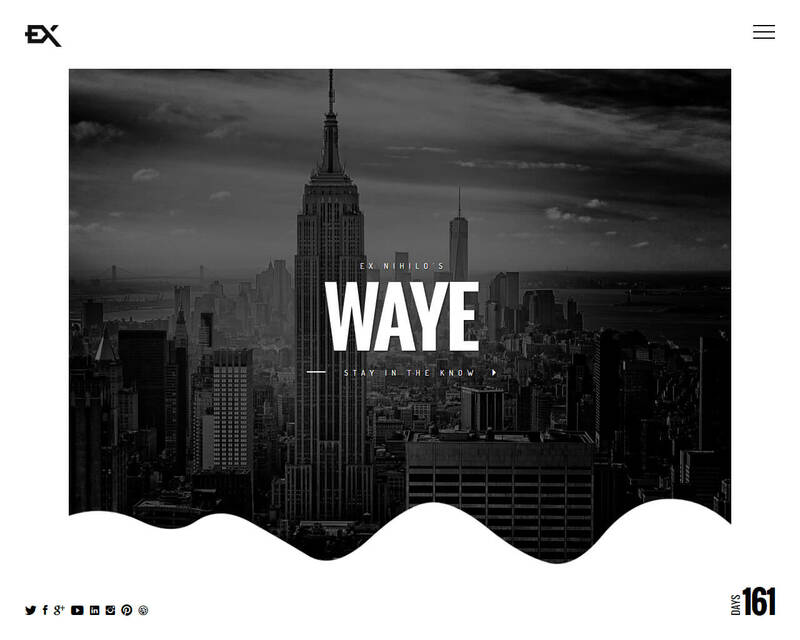 Waye is a coming soon Bootstrap template that is very creative. It has a well-crafted and thought of a design that is most suitable for all under-construction websites that you can think of. With Waye, you get a sophisticated site that will without a doubt garner you a great audience even before your site is up and running as it has social media link where they can get information about your upcoming site, a subscription form, an about us page, contacts us and many more. Waye comes with all these features that are necessary to prepare your clients, and you can also give information on the products or services that you plan to offer or sell. Waye is already customized, it comes with very different homepages, you will get a clean and well-commented code that you can you can easily use to edit your site and so many other incredible features. It is easy to apply Waye to your site as it is well documented and detailed and is also a very straightforward template. an engaging background video to make a website brighter. We are sure that all people will dream of visiting your future online-project. For the reason that your coming soon website will keep them intrigued. Keep in mind that your website will have a proper look on all devices. It is possible to a fully-responsive nature of these attractive pages. A powerful template that comes together with a marvelous design. It will catch the attention of each person who adores creativity. You can present all possible niches using this amazing template. Before choosing this very template, give a look at its remarkable options. If you want to invite the attention of your customers, just take advantage of this great theme. It will provide you with a chance to impress everyone’s imagination. In such a way, people will definitely come back to your website. a great gallery to present your amazing pictures. You can be sure that your main website will capture the attention of your core audience. It will be possible to spread the word about your business. In addition to this, it will take you nothing to promote your company thanks to this theme. If you are currently working on your future website, you should tell people about it. With the help of this wonderful theme, it will become possible. This unusual template has an excellent flat design. It will focus the attention of your visitors on your text. Furthermore, it also has a fully-responsive design. In such a way, your website will have a perfect look on all gadgets. What will you also get together with this eye-catching theme? a remarkable image background to freshen your online-project up. In general, it will take you nothing to customize your website. You can easily tweak its look up. In such a way, your website will certainly express your main message. Do not forget that people will be ready to leave their email and get your updates. 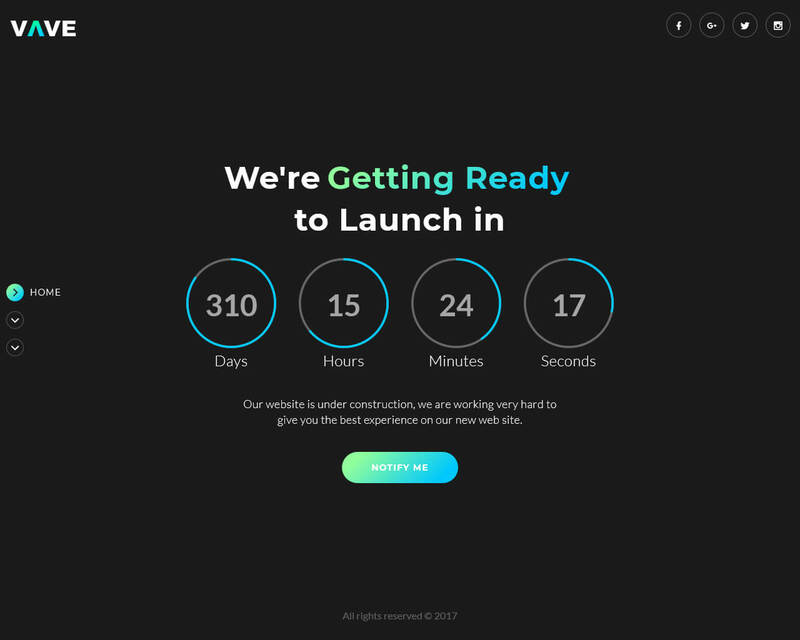 So, everyone will be happy to know when your website will be finally launched. 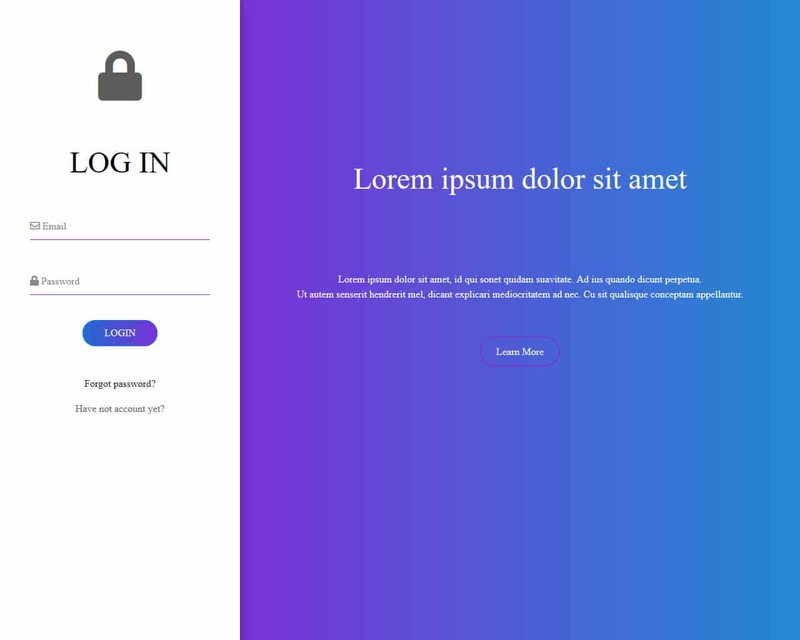 If you want a professionally-looking login template, give a look at this variant. It was built taking into a consideration the latest trends. It will have a great look on all devices. This means that it does not matter what device your visitor uses. Your website will be rendered perfectly on smartphones, laptops, and other gadgets. By the way, you will get a lot of amazing features. Let us present them to you right now. all PSD files already included in the package. In such a way, you will provide your visitors with a user-friendly login form. They will get a pleasant user-experience. In addition to this, they will definitely decide to visit your website again. Make sure to use this template in order to get a lot of new readers.